A Closer Look at the Technology behind Acero’s Advanced Solutions. PlanXpand™ is Acero’s proprietary transaction processing engine, one that supports each of Acero’s products. 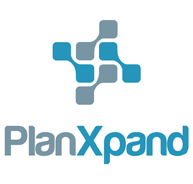 PlanXpand provides administrators with the ability to add incremental features and functions to existing benefit plan designs with minimal changes to their current capital investments. In addition to adding functionality, administrators will find that the products increase operational efficiency through the automation of current processes and by eliminating instances when significant manual work might be required – often resolving issues that arise from a lack of data synchronization. A robust, service-oriented technology engine, PlanXpand uses standard interfaces and common communication protocols to enable flexible deployment and meaningful integration with a client’s existing architecture. The deployment requirements are driven by client requirements for service level performance and administrative management. Leveraging cloud-based design principles, PlanXpand utilizes virtual, on-demand technologies to provide a reliable, scalable, high-performing solution while ensuring security and manageability. In addition to providing the environment to host and manage the business services, PlanXpand provides the vital capabilities IT administrators need and expect including configuration, scheduling, load management, logging and auditing. By exposing these functional services to each product, PlanXpand supports the specific business logic necessary to implement desired plan enhancements to Consumer-Driven Healthcare products or creating real-time pharmacy integration with medical benefits. The engine is designed to adapt to your needs and requirements. The engine’s footprint is driven by client specifications for supporting internal service levels – the footprint may be as small as you want it to be or as large as you need it to be.